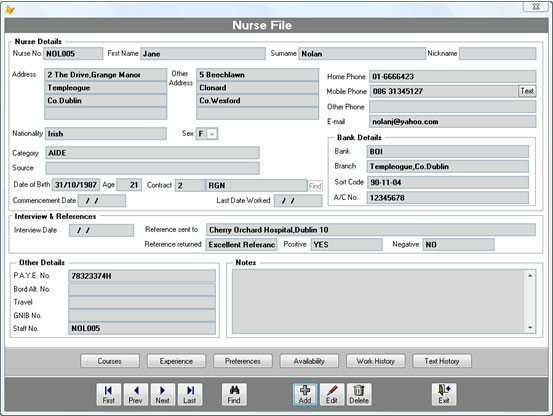 AdminPro can become a central information store for all your nurse data. All information can easily be entered, modified and searched. Under Preferences, you can set which hospitals the nurse prefers and which hospitals the nurse does not want to work in. Stores information on all the hospitals. Under Preferences, you can set which nurses/carers the hospital prefers and which nurses/carers the hospital does not want. 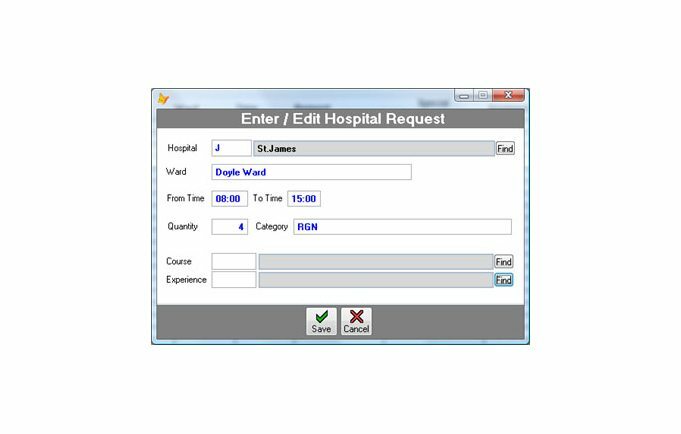 This program handles the incoming requests from hospitals for nurses and carers. AdminPro then creates a list of suitable nurses/carers. It only shows people that have been entered into the nurse database as available for that day. It rates each person based on the nurse preferences and the hospital preferences. It orders the list based on how long it has been since the nurse last worked. This ensures all nurses on file get an equal amount of work. At the press of a button, text messages will be sent out to the nurses asking if they are available for the shift. The nurses have a set amount of time to text, ring or email the agency to accept the shift. If the nurse has not made contact after that time has elapsed, the shift will be offered to the next nurse on the list. The operator can still decide which nurse to send the text messages to. Nurses can also be assigned without going through the Text process. This texting process greatly reduces the time and expense of agency staff having to ring around nurses to fill shifts. 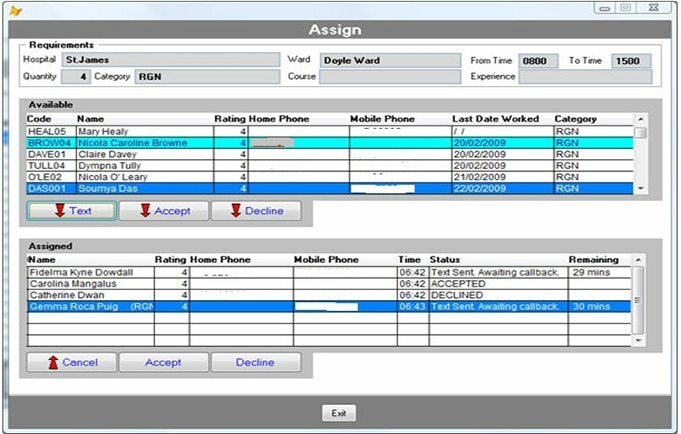 The front screen allows the operator to keep track of which shifts have been assigned to nurses/carers. This program allows for the input of the worksheets from the hospital. 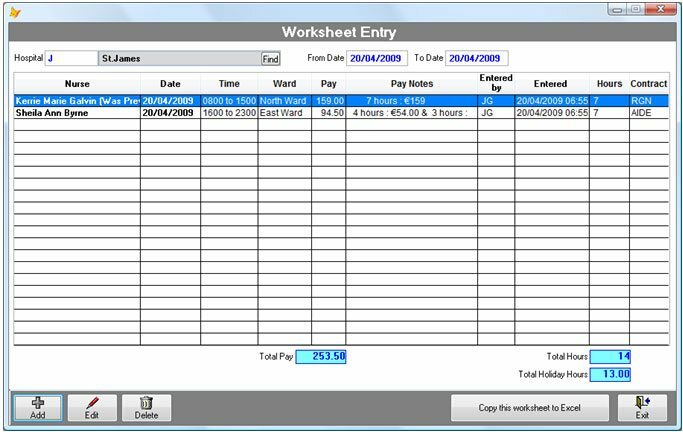 Pay and holiday pay is then calculated automatically. Multiple pay contracts can be set up in the system and pay contract adjustments can be set up for individual hospitals. 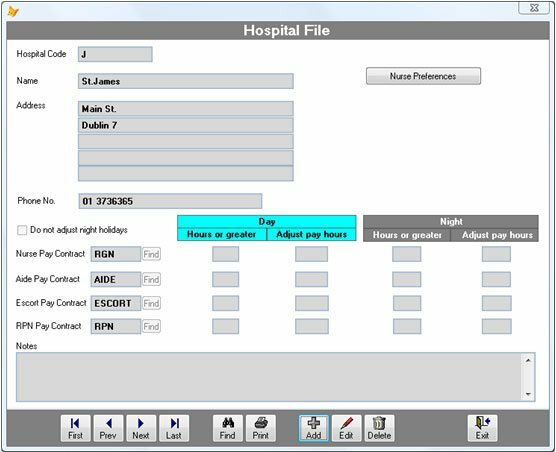 Information can be provided to hospitals as reports or as files (Excel Files or CSV text files) for automatic import into the hospitals programs. 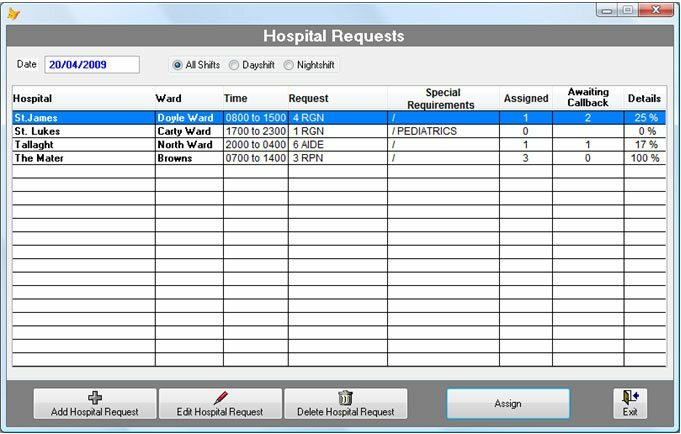 AdminPro has been designed to be as flexible as possible in providing accurate, timely information to the hospitals.